Berenike III ruled as queen of Egypt from 81 to 80 BC, and possibly from 101 to 88 BC jointly with her uncle/husband Ptolemy X Alexander I. She was born in 120 BC, the daughter of Ptolemy IX Lathyros and Cleopatra Selene. 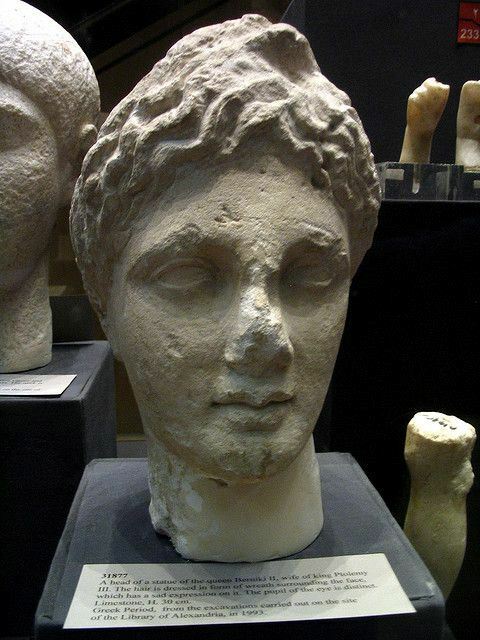 She married Ptolemy X Alexander I in 101 BC, after he took the throne from Lathyros and had his mother (and her grandmother) Cleopatra III killed. When Lathyros reclaimed the throne in 88 BC, Berenice lost her own rule. However, when Lathyros died at the end of 81 BC, Berenice took over the throne and ruled for six months, during which time she gained the love of the people. he was forced to marry Ptolemy XI Alexander II in 80 BC. He had her killed 19 days later, which moved the people to revolt and kill him a few days later.